The Environmental Justice Team at Lone Star Legal Aid welcomes you to the ninth and final edition of Environmental Justice News for 2018 . We've truly enjoyed keeping communities updated on our team’s ongoing environmental law efforts throughout our 72-county service area this past year! We wish you a Happy New Year, and we look forward to continuing our work into 2019. In the Fall of 2017, the City of South Houston submitted an application to Texas Commission on Environmental Quality (TCEQ) for a major amendment to its municipal wastewater permit that would remove the limits on mercury it can release into nearby Berry Creek. Represented by LSLA Environmental Justice attorneys Bryan French and Rodrigo Cantú, community group Caring for Pasadena Communities (CPC) is appalled by the City's proposal to remove these limits, and questions whether leaving the watershed open to unlimited amounts of mercury is safe. Expressing its concerns over potential adverse impacts that the amendment would pose to predominantly minority, environmental justice communities located along Berry Creek and adjacent waterways including Sims Bayou and the Houston Ship Channel, the CPC recently submitted public comments to TCEQ on the amendment. The group has also requested a contested case hearing in order to challenge the amendment, which it says is not sufficiently protective of human health or the surrounding environment. In their comments to TCEQ, CPC pointed out that the City of South Houston's municipal wastewater treatment program has a troubled history related to mercury testing, being cited by the state agency with a number of violations over the past several years. In fact, the application for major modification of the City's permit comes less than a year after TCEQ notified the City in writing that its mercury testing method was not sensitive enough to comply with its permit. At a recent public meeting hosted by the City of South Houston and TCEQ on December 4th, community members noted an abundance of wildlife at the confluence of Berry Creek and Sims Bayou, a habitat that would be threatened if mercury levels are not monitored to ensure that existing limits on the pollutant are enforced. 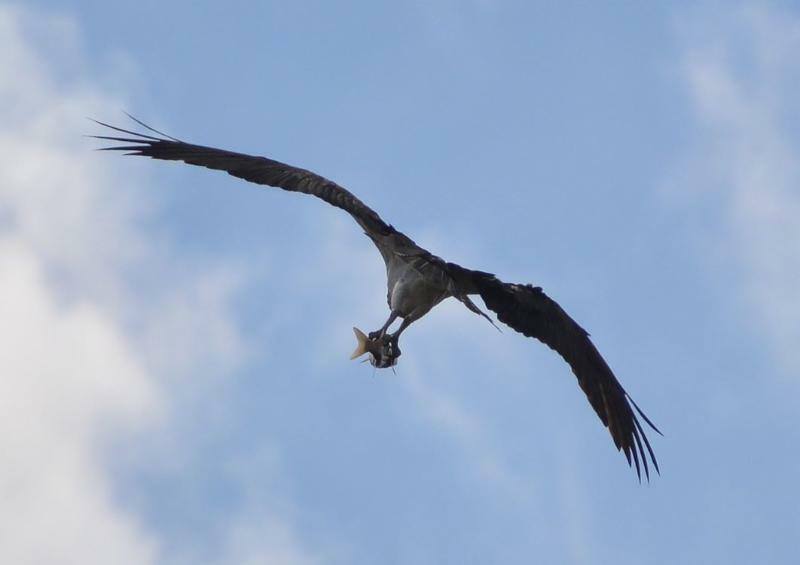 Coyotes, raccoons, eagles, shorebirds, frogs and fish populate a thriving ecosystem, while community members enjoy fishing, canoeing and kayaking along bayou green spaces including Glennwood Green Space, Milby Park and Reveille Park. Officials from the City of South Houston stated at the public meeting that mercury released into Berry Creek would not have a negative impact on Sims Bayou or adjacent waterways. Community members disagreed. "Any mercury released into Berry Creek could easily flow into Sims Bayou, and ultimately affect marine life in Galveston Bay," shared Lone Star Legal Aid's Bryan French, "Sims Bayou is a tidally influenced waterway. This means that pollutants released upstream in Berry Creek can either flow downstream into Sims Bayou towards the Houston Ship Channel, or make their way upstream into the west fork of Sims Bayou by way of tidal flow," said French. LSLA advocates also underscored the need to monitor mercury in effluent that is discharged into Berry Bayou, given that roughly 8,500 homes were flooded along Berry Bayou as a direct result of the bayou overtopping its banks during Hurricane Harvey, according to an official Harris County Flood Control District report from 2018. A known neurotoxin and persistent chemical, mercury can accumulate in the tissue of fish through a process known as bioaccumulation, becoming more concentrated in larger fish that people like to catch and eat. 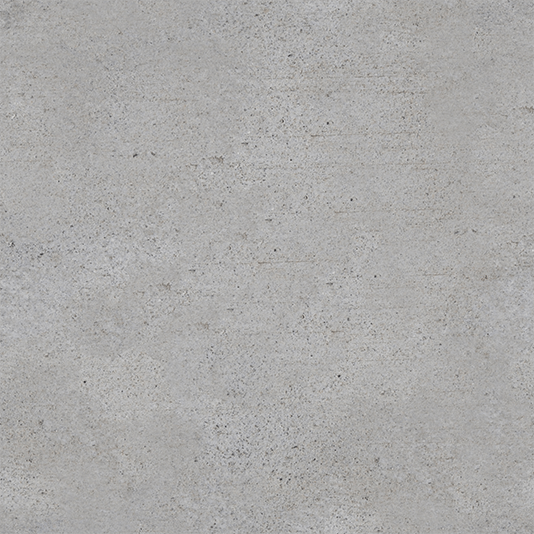 The trace metal is sometimes released in industrial wastewater as a byproduct of industrial processes. Municipalities like the City of South Houston are responsible for maintaining regulated pretreatment programs that monitor industrial users' wastewater. The City of South Houston’s wastewater treatment plant processes wastewater from industrial users, and then discharges the treated wastewater into Berry Creek. In 2014 the City was cited by TCEQ for mismanagement of its pretreatment program when it was discovered that industrial wastewater permits issued by the City made no provisions for monitoring the pollutant, nor did the City set limits on the amount of mercury released by its industrial users. "Cities should be good neighbors, willing to help each other out to protect our air, water and land,"said Patricia Gonzales, founder and president of Caring for Pasadena Communities . "It doesn’t matter what city you live in - when environmental issues are concerned, it's important to realize that the actions of one city can have far-reaching impacts on the health and safety of neighboring communities." Residents and members of Caring for Pasadena Communities are awaiting TCEQ's response to their comments and requests for contested case hearing, expected early next year. To view public comments from the December 4th public meeting, search the TCEQ Commissioners' Integrated Database . Under Step 1, Choose, "Open Items" and, "Sort by: TCEQ ID Number." Under Step 2, Enter TCEQ ID # WQ0010287001 . Under Step 3, Choose, "Include all correspondence from the public on this Item." Next, click on "Search," and then choose, "Display all comments." What does park equity look like? Robert Zarate, Lone Star Legal Aid client and Chair of the Beautification and Urban Design Committee of the South Houston Concerned Citizens Coalition (SHCCC), has an answer to that question. 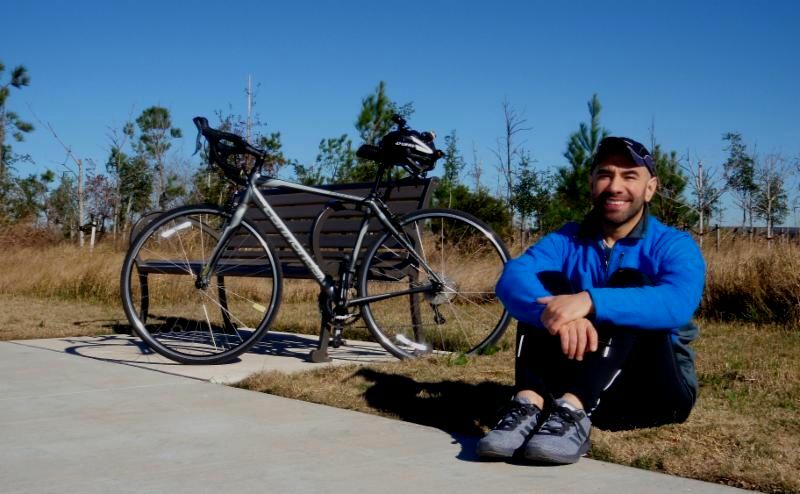 An avid biker in Houston, Zarate was excited when the first segment of Sims Bayou Greenway opened to the public in June 2017. However, as he rode along the Bayou Greenway trails city-wide, he began to notice differences between trail segments on Sims Bayou and those on White Oak Bayou, and he started to ask questions at community meetings with the SHCCC about why Sims Bayou Greenway Trail had so many design differences from Greenway Trails on the other side of town. That's where LSLA Environmental Justice Advocate Amy Dinn met Robert Zarate, and the two began an earnest discussion about Zarate's concerns over his neighborhood's Greenway project. 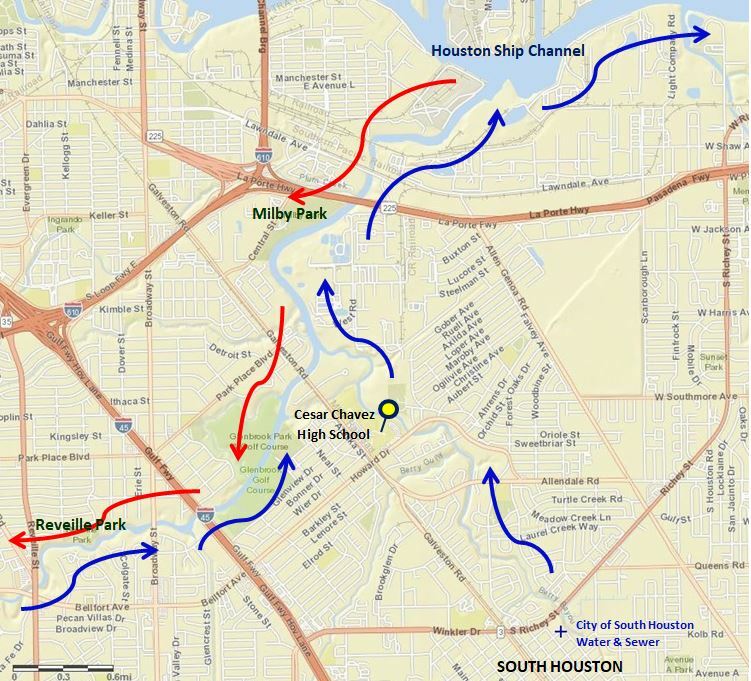 A public-private partnership between Houston Parks Board and the Houston Parks and Recreation Department, Bayou Greenways 2020 aims to establish park equity in Houston by transforming neighborhoods across the city through a system of interconnected linear parks, with a network of 150 miles of hike and bike trails along Houston's bayous. While the project has received well-deserved accolades for its extensive plan to create much-needed access to park space for minority and low-income communities across Houston, inequity in park space remains a concern for Houston and in other cities across the U.S. In How City Demographics Affect Parks , Rice University's Kinder Institute for Urban Research points to a 2018 study that shows how cities with higher minority populations typically have significantly less access to park space than cities with a lower percentage of minority residents. According to the study, Houston was found to have some of the lowest levels of per-person funding and access to parks in the U.S. The Kinder Institute also noted that similar inequities exist on a neighborhood level within cities, as predominantly minority communities typically have significantly less access to park space than their non-minority counterparts. For Sims Bayou Greenway, one community member made a big difference in bridging that gap. Beginning in the summer of 2017, Lone Star Legal Aid worked with Zarate to establish a constructive dialogue with the Houston Parks Board, the nonprofit lead on the Bayou Greenways 2020 project, about Zarate's concerns for trail design and features, landscaping, safety issues, signage, and other amenities. On his many rides along the Sims Bayou trail, Zarate documented his concerns by taking photographs and jotting down suggestions for potential improvements. LSLA's Dinn then wrote a letter on behalf of Zarate and his community in order to raise these equity issues with the Houston Parks Board. Receptive to his feedback, members of Houston Parks Board even toured the Sims Bayou Greenway together with Zarate on bicycle for a first-hand view of his community perspective on the new trails. 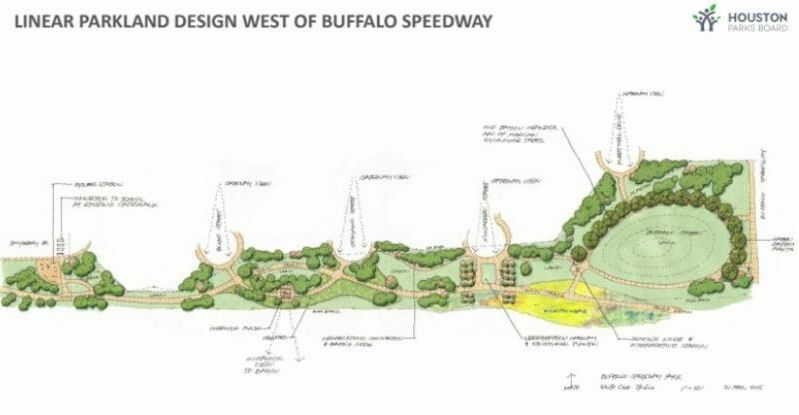 At a November 15, 2018 community meeting, the Houston Parks Board reported on the results of Zarate's year-plus advocacy, revealing its plans for the next segment of Sims Bayou Greenway Trail, scheduled to open in March 2019 (see the design for the upcoming project below). The Houston Parks Board presentation also covered retrofits for the first segment of the Sims trail, adding the amenities that Zarate had advocated for. Community members were impressed with the Houston Parks Board’s efforts to make these parks special by tying the greenways into existing community spaces like nearby schools, and creating observation spots along the bayou trail. ﻿Elated with the results, Zarate commented, "I cannot be more grateful to Houston Parks Board for addressing my concerns and correcting the issues I brought to their attention. I would like to thank Lone Star Legal Aid and Amy Dinn for their support and continued assistance throughout this process. As a result of the advocacy work that went into this project, residents along Sims Bayou Greenway can look forward to additional amenities such as benches, trash/recycle receptacles, updated improvements with more signage, as well as accents that include small layered bricks along the retaining walls and several animal motif designs. I could not be more thrilled with all of the improvements, as they will help make SBG a destination park for the entire city." 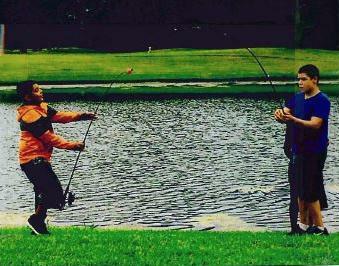 Houston Parks Board member Doug Overman agreed. “Our primary goal is to inspire active community input for Bayou Greenways 2020 and for all of our public projects," said Overman, "We want to ensure that community members have a voice in this work from the beginning, because that results in better projects that respond to the vision of community members and the needs of our neighborhoods. After all, these public spaces belong to all Houstonians." P artnering with Environmental Justice advocates at Texas RioGrande Legal Aid (TRLA), LSLA’s Environmental Justice attorneys Amy Dinn and Rodrigo Cantú recently submitted joint public comments with TRLA to the U.S. Nuclear Regulatory Commission (NRC) on a proposed nuclear waste Consolidated Interim Storage Facility (CISF) that would pose significant risks for low-income and minority communities across the state of Texas. Submitted on behalf of the community groups Caring for Pasadena Communities in Pasadena, Texas (represented by LSLA), and Familias Unidas del Chamizal in El Paso, Texas (represented by TRLA advocates Margaret Barnes, Hannah Sampson, and Enrique Valdivia), the groups’ comments highlighted the environmental justice concerns of transporting large amounts of extremely hazardous nuclear waste across 11 counties in Texas. Initially brought to LSLA advocates’ attention by community organizations Public Citizen , Sustainable Energy and Economic Development ( SEED) Coalition, and the Reverend James Caldwell of the Houston-based Coalition of Community Organizations , the proposal for a Consolidated Interim Storage Facility (CISF) involves the potential transport and storage of Spent Nuclear Fuel (SNF) and additional nuclear waste from various decommissioned and shutdown nuclear reactor sites in Texas and locations across the United States, to be shipped primarily by rail through Texas to the CISF, a proposed site within Andrews County, Texas, abutting the southeastern New Mexico border. According to an Environmental Report submitted by Interim Storage Partners LLC (ISP) to the Nuclear Regulatory Commission, the transport of nuclear waste to the interim storage facility could take up to 20 years, potentially exposing communities near transportation routes to several shipments per week of the highly hazardous SNF for decades. After arriving at the interim storage facility, the nuclear waste would be stored for 60-100 years, or until a permanent storage site is available. Potentially impacted counties include Harris , Waller, Austin, Colorado, and Fayette Counties in LSLA's service area; and El Paso, Hudspeth, Culberson, Reeves, Jeff Davis, and Pecos Counties in TRLA's service area. The community groups Caring for Pasadena Communities and Familias Unidas del Chamizal say the proposed plan places an unjust burden on low-income and minority Environmental Justice communities along anticipated rail, highway or barge route corridors - communities like Pasadena, where residents are already burdened with a significantly higher risk of developing cancer from air toxins, are exposed to significantly higher levels of PM2.5 and hazardous pollutants, and live in close proximity to more Superfund sites than 96% of Americans. In their comments to the NRC, the groups pointed out the risks and dangers inherent in the transport of SNF, a “very deadly radiotoxic material,” each transport cask containing “considerably more radioactivity (200 times or more) than was dispersed by the Hiroshima nuclear bomb.” Comments noted the potential risks of radiation exposure to communities from being physically stuck in traffic near a truck or rail load of SNF, as well as the possibility of spills, leakage, or water runoff from accidents involving transport vehicles; possible downwind radioactive exposure from defective caskets; and potential radioactive contamination to air or water sources from accidents or fires, which could cause harms to human health on a disastrous scale. Calculating exposure risk from transport of the nuclear waste through Harris County, TSU Extern and former nuclear submarine operator Aaron Lott contributed his expertise to the groups' comments, showing that the proposed project violates the principles of maintaining radiation exposure As Low As Reasonably Achievable (ALARA), as the report ignored the worst-case scenario in planning for potential accidents that could cause a release event. Comments also noted that the Environmental Report showed a glaring lack of information about which decommissioned nuclear reactors would be shipping waste to the CISF, as well as which specific routes would be used for shipment. Also missing was the feasibility of alternative transportation routes, therefore making a full assessment of the environmental risks nearly impossible, denying community members involvement in the public participation process required under the National Environmental Policy Act (NEPA). 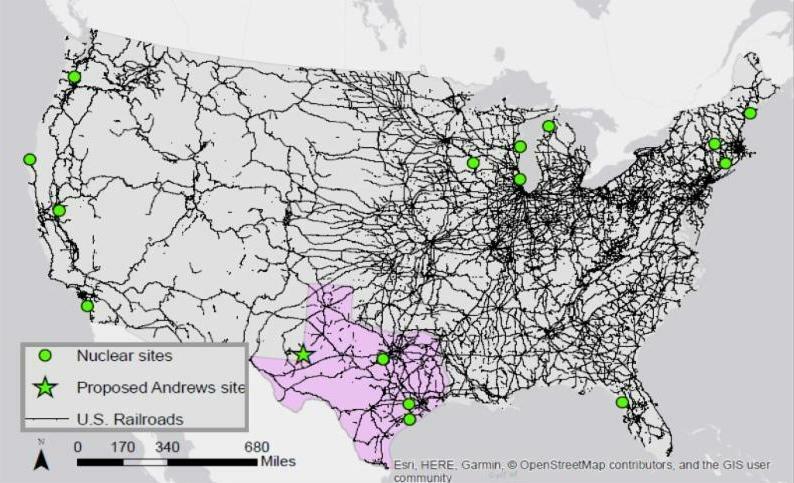 The groups' comments included a map of hundreds of U.S. rail transportation routes that were not accounted for in the Environmental Report. As part of the NEPA process, the NRC must respond to the groups' comments before a final Environmental Report is issued for the Project. "We are determined to continue to raise issues of environmental concern for the Environmental Justice communities in our service area, and we appreciate the support of Caring for Pasadena Communities in advocating to regulatory agencies for more stringent review of proposed environmental impacts on EJ communities," said EJ Team Leader Amy Dinn, "It was also our pleasure to partner with TRLA in submitting these joint comments on behalf of our group clients." Celebrating 25 years of community advocacy, the South Houston Concerned Citizens' Coalition (SHCCC) originally formed in 1993 as an alliance of civic clubs and homeowner associations dedicated to improving the welfare of residents living in the south Houston area, now incorporated as Houston's District K, and part of District D. "We formed the Coalition so that we would all have a collective voice to try to make things happen in our community,” shared one of the group's founders and former President, Vivian Harris. 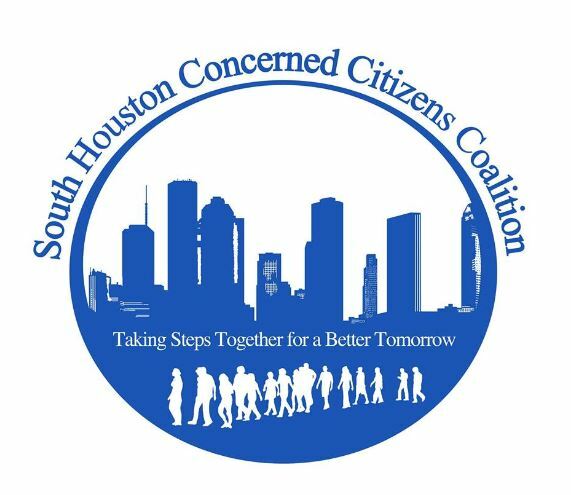 Among the group's many accomplishments over the years, the SHCCC holds the distinction of being the original model Coalition that led to the formation of the Houston's Super Neighborhood program. Now counting 25 member civic clubs and homeowners associations in six zip codes including the 5 Corners and Brays Oaks Districts, the SHCCC works to improve its community through the promotion of urban design and beautification, crime reduction and public safety, economic development, improved education and recreation, and better housing for all. "We've got so much going for us, including a great location," shared longtime SHCCC member and Vice President Homer Clark, "We're a mix of urban and suburban - just a few minutes from the Medical Center and Galleria, but far enough away from the hustle and bustle of the city." LSLA's EJ Team has engaged with members of the SHCCC on a number of environmental justice issues over the past year. Former Council Member Larry Green first introduced the SHCCC to the EJ team in July 2017. 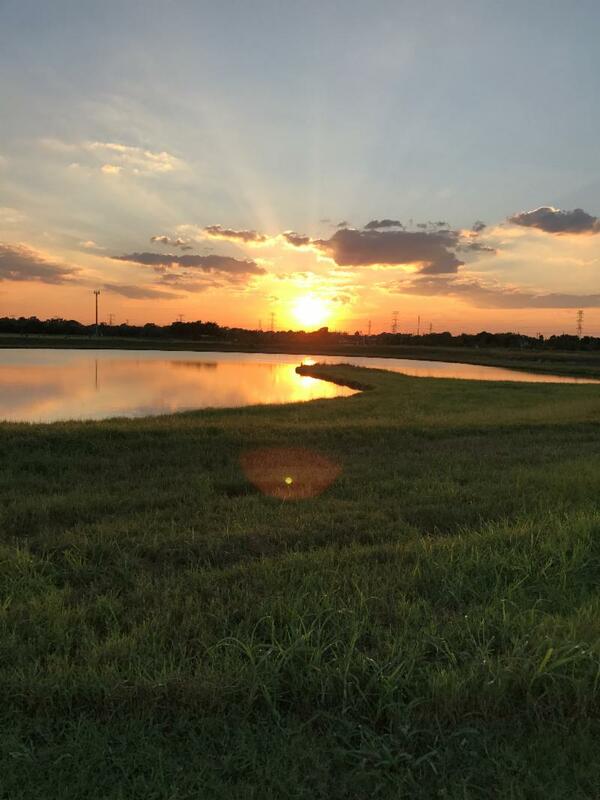 A year later, the partnership successfully challenged and won a legal battle at the Texas Railroad Commission to keep a 27.2-acre brine pit from being built in an area primed for positive economic growth near Buffalo Speedway just west of the Wildcat Golf Course . 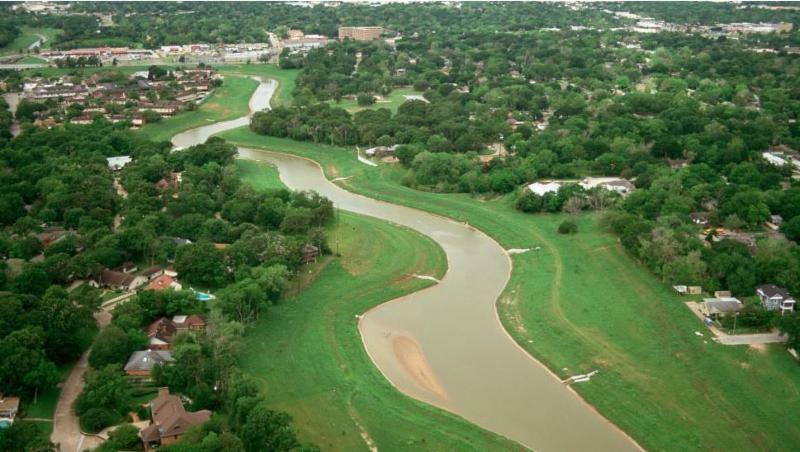 Over the same time period, SHCCC member Robert Zarate and EJ Managing Attorney Amy Dinn were advocating for park equity in South Houston, resulting in significant improvements to the newly established Sims Bayou Greenway that will open its next segment in 2019. In fact, environmental justice concerns first spurred the formation of the SHCCC in 1993. Fellow SHCCC members Harris and Clark recall the specific issues that led to the alliance of civic clubs at that time: simply getting South Post Oak paved, and getting the City to install sewer lines in the area. Seemingly straightforward public services, one civic club leader, Mr. Freddie Outley, had been at an impasse trying to get the City to take care of those issues on his own. "South Post Oak was known as one of the ten worst streets in the City at the time, with deep, deep ditches on either side," shared Harris, "If a car fell into the ditch, you couldn't even see it!" By joining together, the group realized its power in numbers, with Outley as its first President. After achieving its initial goals, the Coalition continued, fighting to see the Hiram Clark Multi-Service Center built and pursuing drainage improvements along Sims Bayou, among other major accomplishments. Through a close-knit relationship with the City of Houston as well as partnering with area businesses and pursuing grants through its 501(c)(3) non-profit status, the SHCCC's neighborhood-centered efforts have resulted in a richness of service to community that includes an annual need-based bicycle giveaway program for children, insurance forums for area residents, a probate clinic for the elderly, scholarships and funding for school-aged children and families in need, and meal programs for elderly residents. Many programs take place at the Hiram Clark Multi-Service Center, where Harris currently holds the office of City Council District K Manager of Special Projects - Health & Education, first becoming engaged in civic leadership in 1975 through her civic club. "We host so many seminars on an ongoing basis," shared Harris. Important to the success of the group's recent accomplishments is a tripartite agreement combining its Management District with TIRZ 9 and TIRZ 25 tax increment reinvestment zones - something the SHCCC helped to pursue. "This is when we really started to be able to get things done," shared Clark, "It gave us the ability to combine the ideas with the funding." Through the agreement, the group has been able to see several large infrastructure projects come to fruition, including an extension of Buffalo Speedway between Holmes Road and West Orem Drive, and a rare bridge spanning the rail line on Holmes Road that will further connect the neighborhood to the Texas Medical Center. The group's many achievements notwithstanding, Environmental Justice issues remain a concern for the SHCCC, in part because Houston has no zoning, allowing heavy industry to pop up and expand in residential areas. "That's why Lone Star Legal Aid is so important to us," shared Clark. And even when deed restrictions are in place to help keep industry out of residential areas, the City's enforcement of those restrictions can be lacking. "It's a challenge to get them to enforce," shared Harris. The group hopes to tackle some of those challenges with LSLA's EJ Team in the future, with current SHCCC President Mya Carroll at the helm.